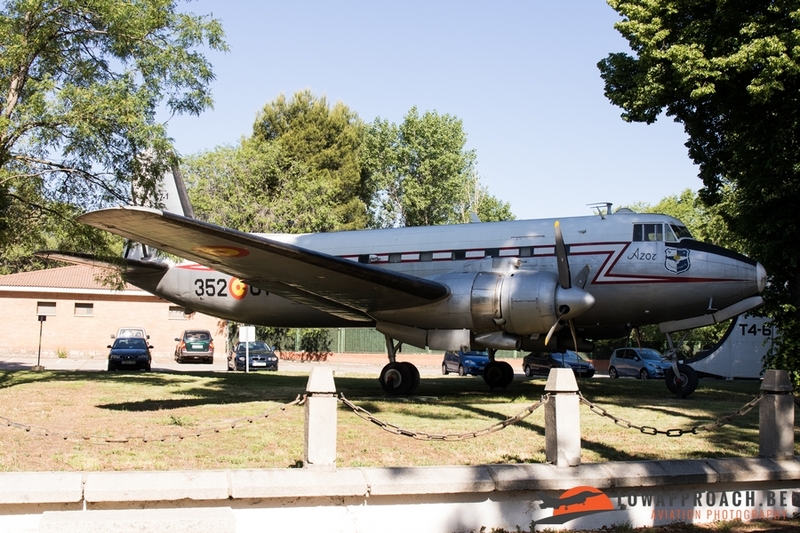 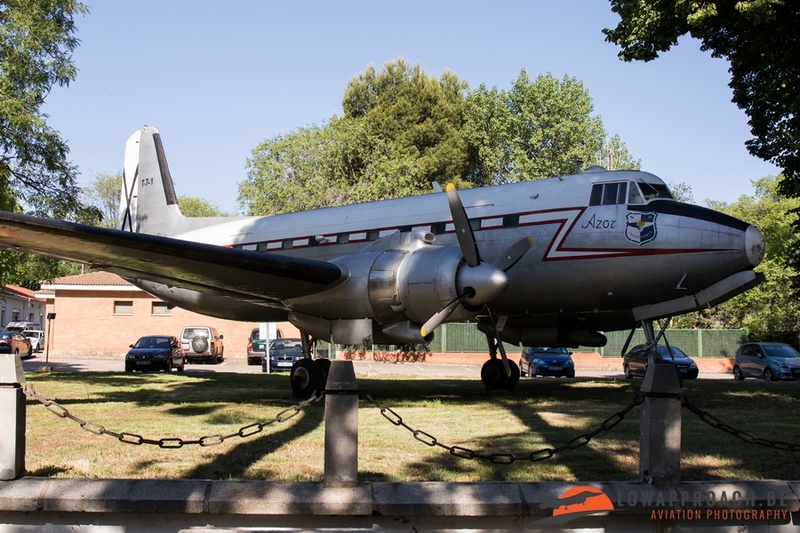 In May four members from Low Approach stayed 5 days in de surroundings of Madrid for a spotting trip. During this week we arranged two base visits, the first one at Colmenar Viejo and the second in Getafe AB. 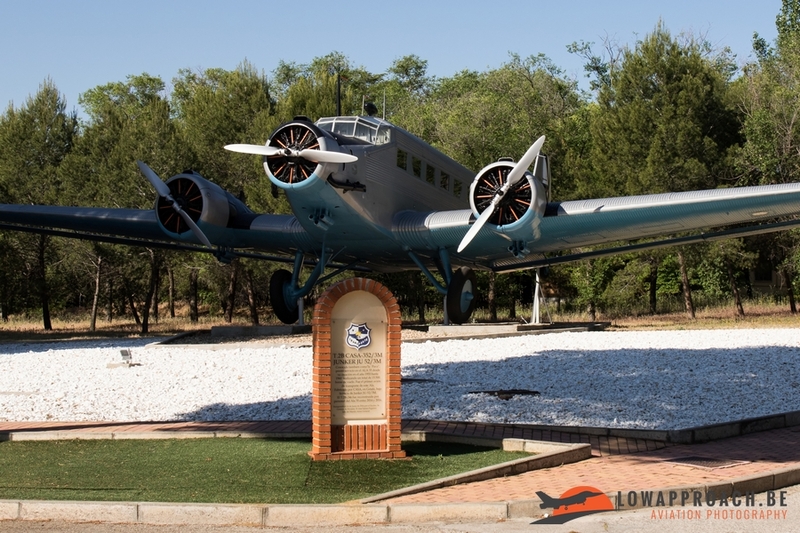 BA Getafe is a military airbase located in Getafe, about 15 km south of Madrid, Spain. 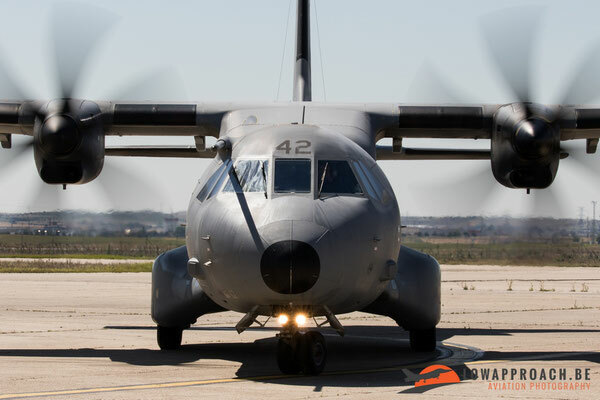 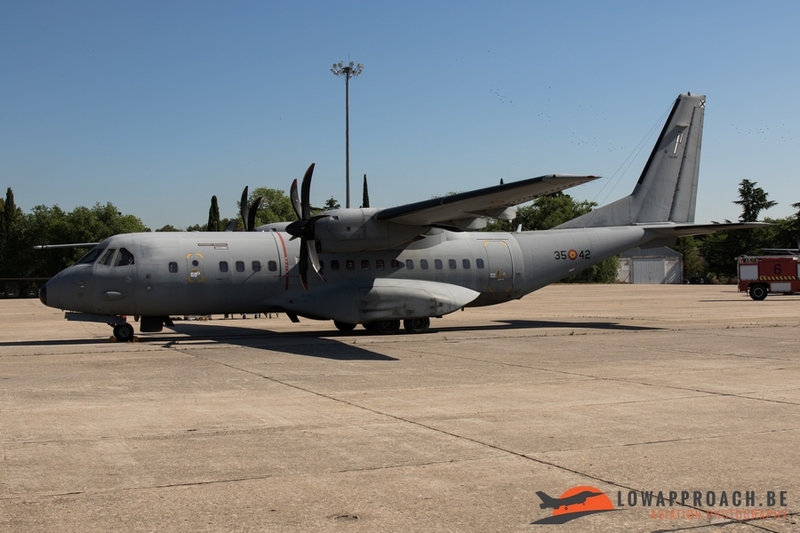 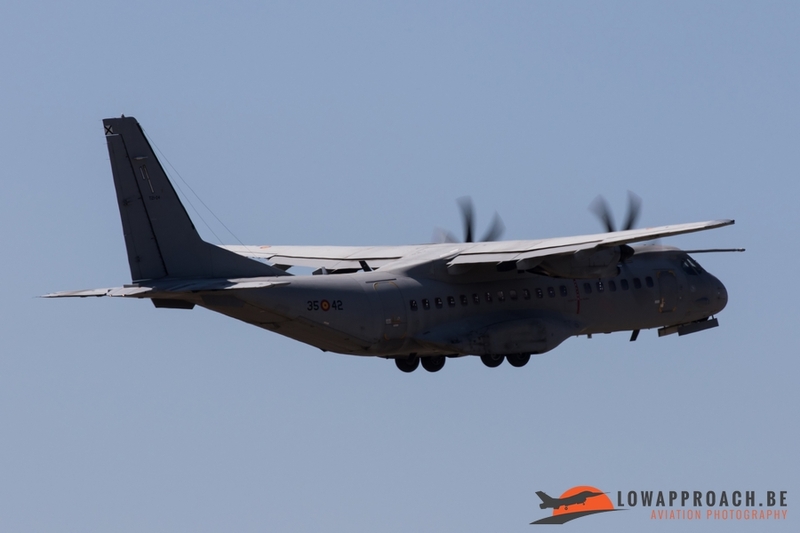 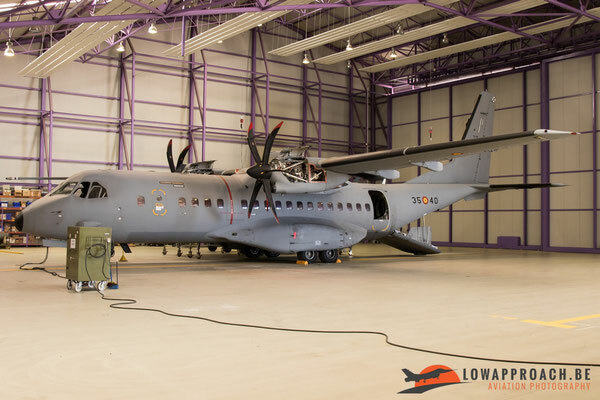 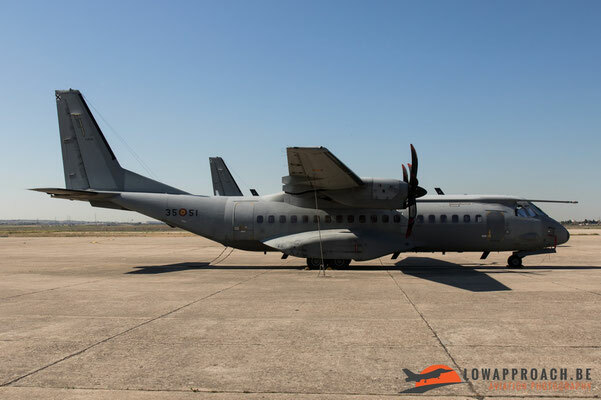 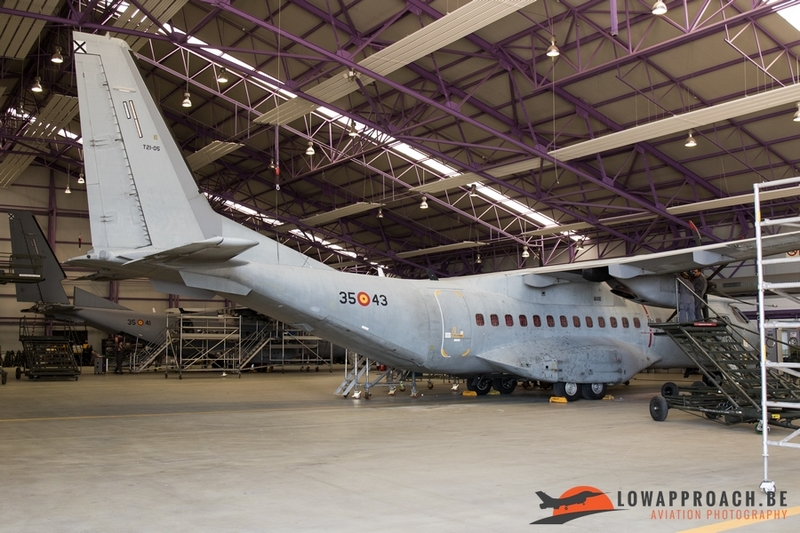 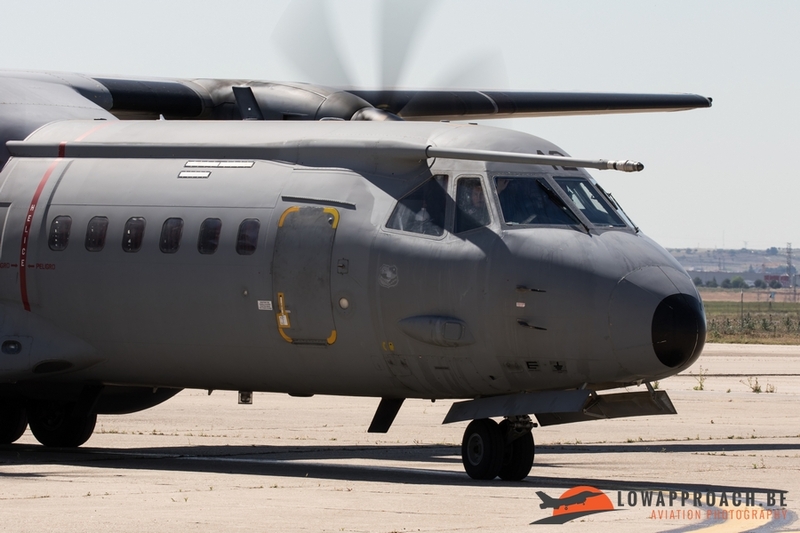 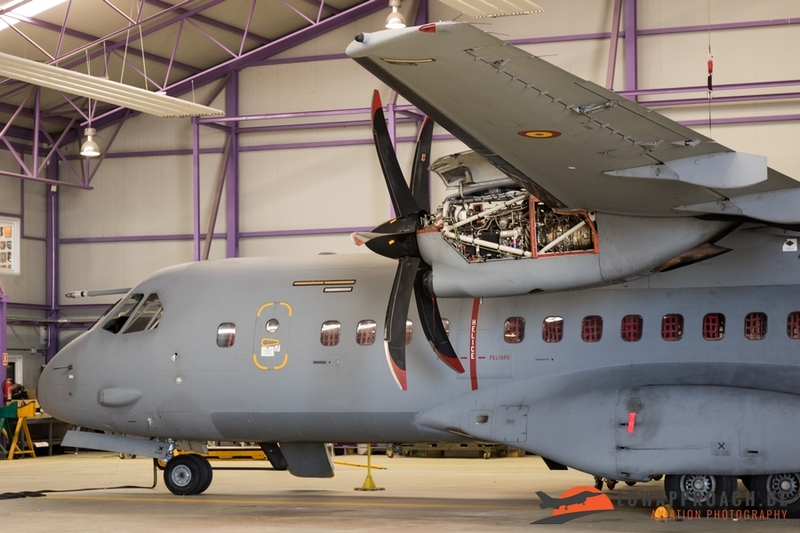 The main military unit to operate from Getafe is the "Ala 35" transport wing, which operates the CASA C-295M. Also located on the airfield is one of the Airbus factories where the modifications on a wide range of aircraft, like the A330 MRTT, are done. 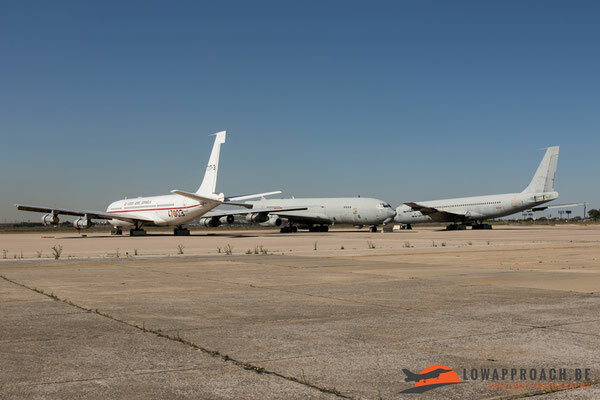 Standard commercial A330-200s are delivered from the Airbus final assembly line in Toulouse to the Airbus Military Conversion Centre in Getafe, for the fitting of refueling systems and military avionics. 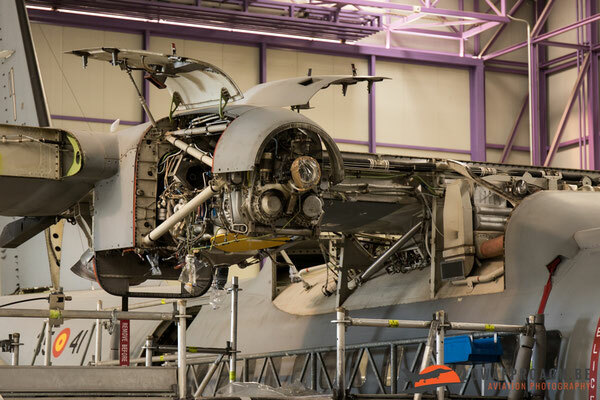 Also parts of the A350 XWB are manufactured in the factory at Getafe. 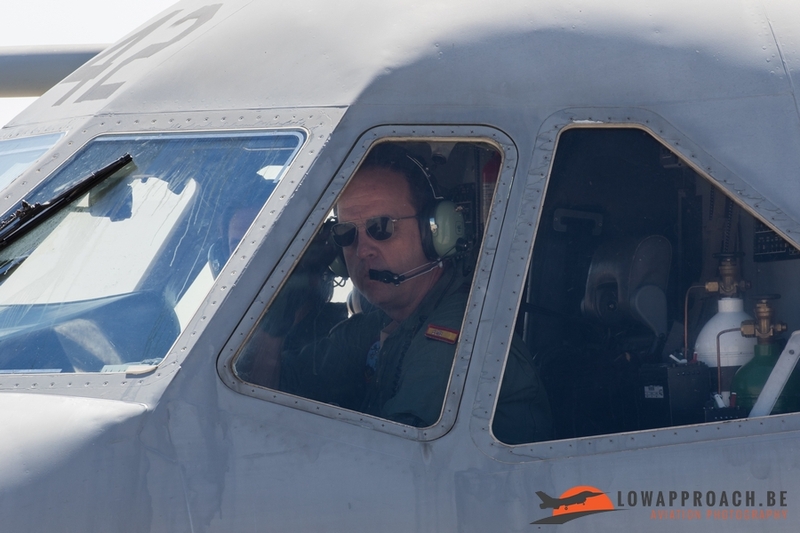 After the required security checks, we got a warm welcome from our hosts from the Ala 35 Public Relations team. 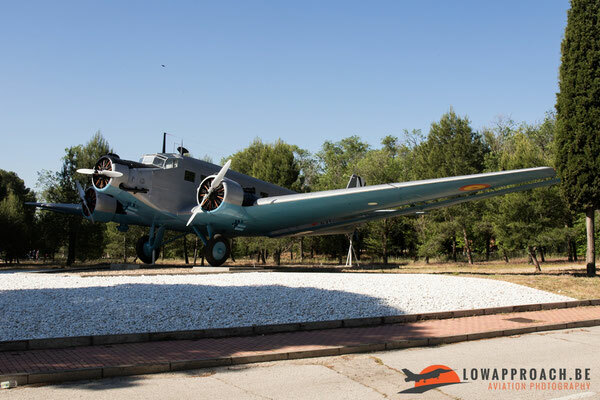 To start our visit we received a little tour on the base that led us along some beautiful planes from the history of the base. 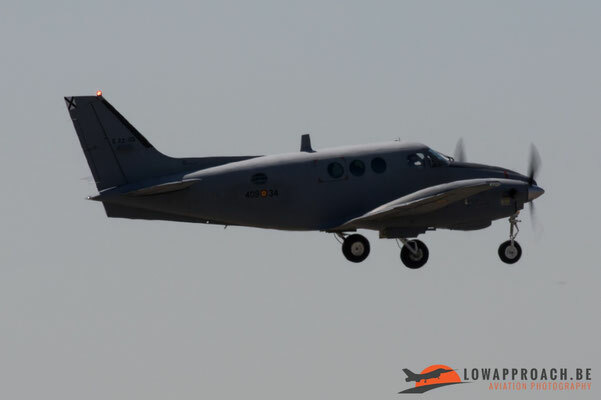 The first one we passed was the CASA C207A Azor. 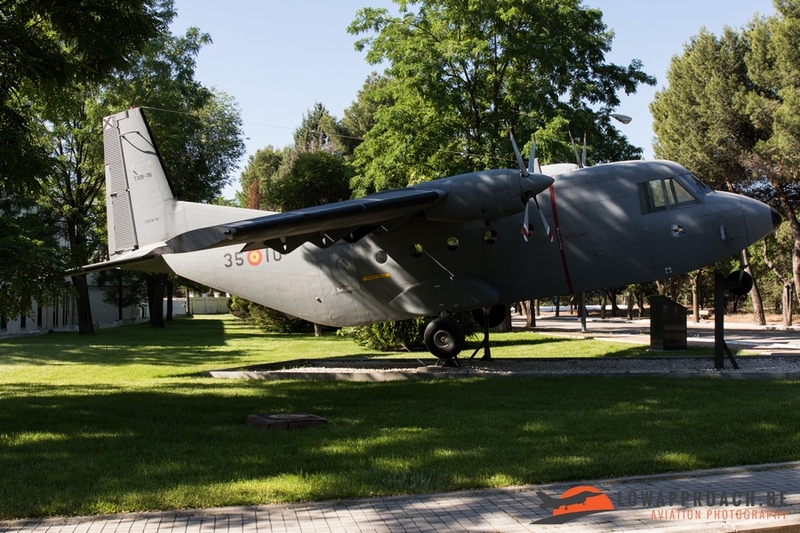 The CASA C-207 Azor was a transport aircraft and was designed for the civil market. 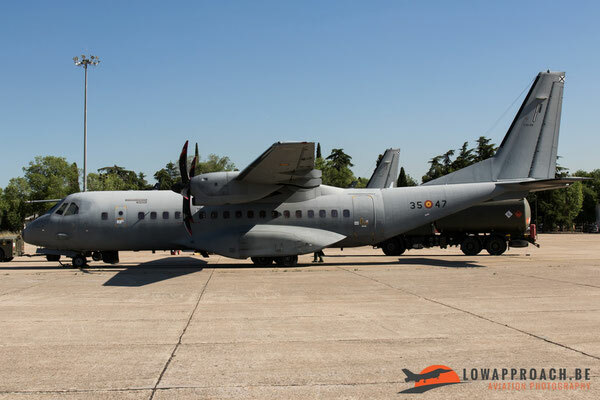 Nevertheless the C-207 received no civil orders, but the Spanish Air Force ordered ten examples as replacement for the CASA 2.111 and the CASA 352 (Junkers Ju-52) that were in service at that time. After some time the Spanish Airforce ordered 10 more specially configured for paratroop or cargo transport . 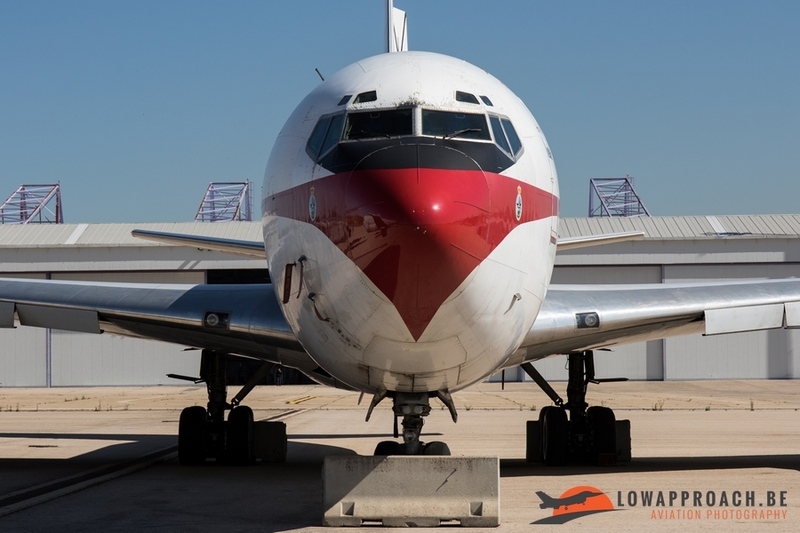 The first model entered service in 1960. 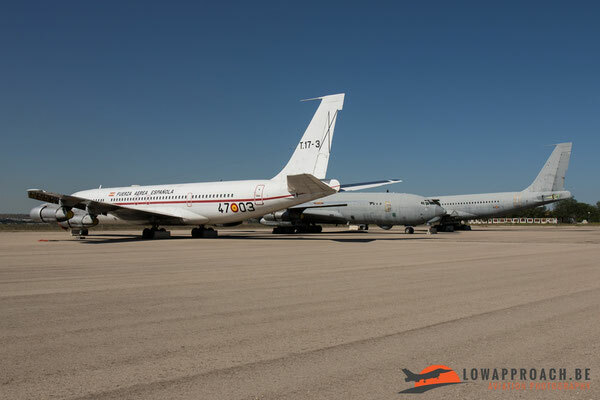 The two prototypes and 20 production aircraft served in the military until the early 1980s. 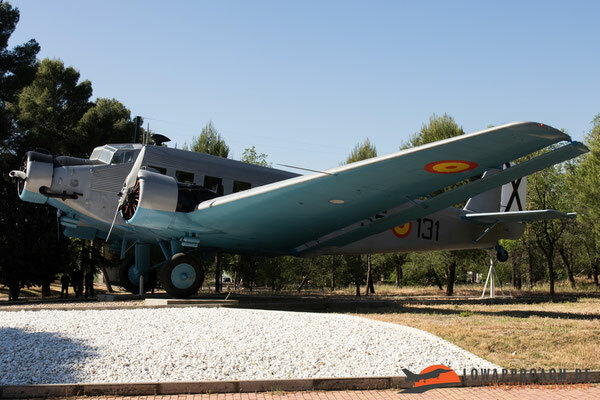 The second plane we saw was a real beauty, in such a perfect condition that it looks if she was coming straight from the factory. 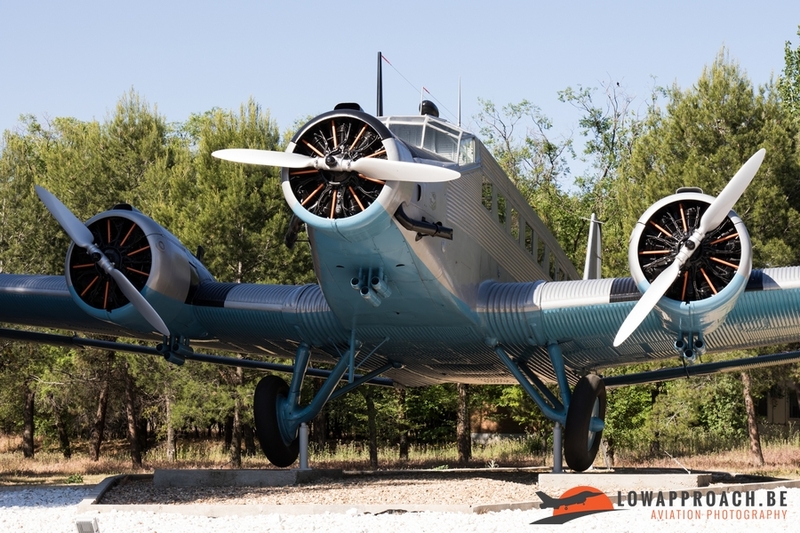 The CASA 352L also known as JU-52. 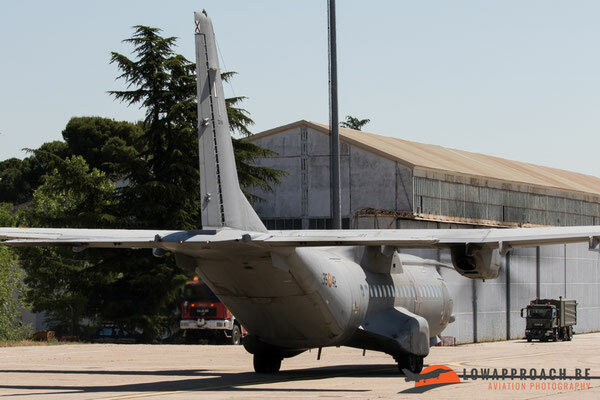 This aircraft was license build in Spain equipped with Spanish 578 kW (775 hp) ENMA Beta B-4 engines. 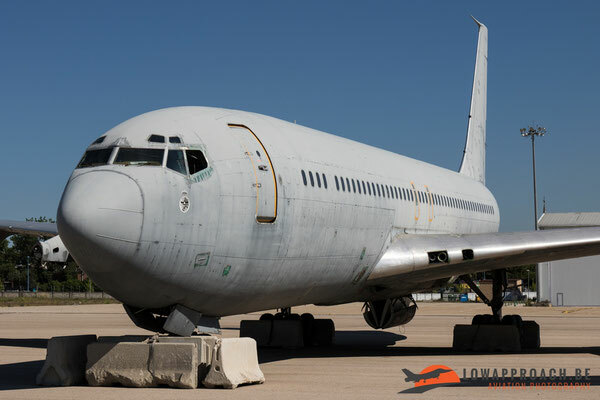 This plane served with the armed forces there until the 1970's. It was only recently restored to a magnificent standard. Although we must admit that the base really takes care of their historic aircraft, as they are cleaned every six months. 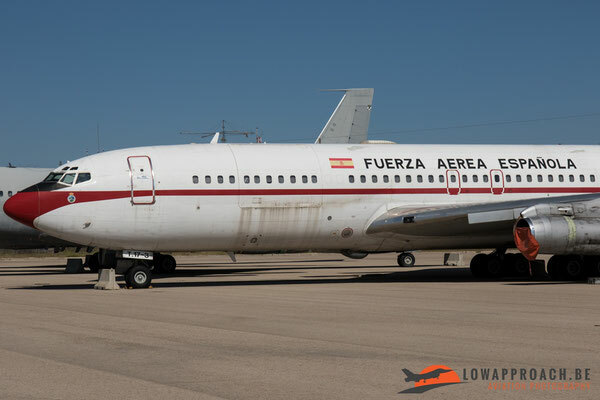 Not much further we stopped by the CASA C212-100. 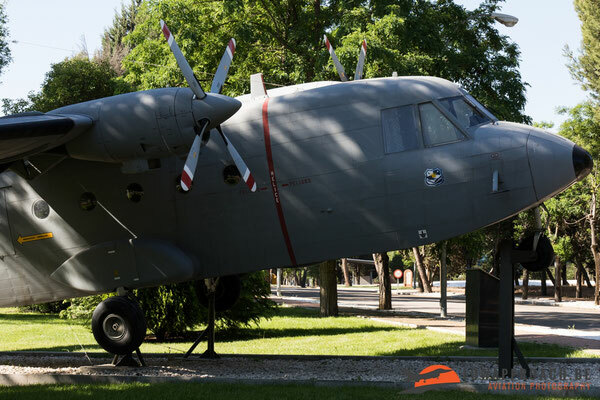 The CASA C-212 Aviocar is a turboprop-powered STOL transport aircraft designed and built for civil and military use. 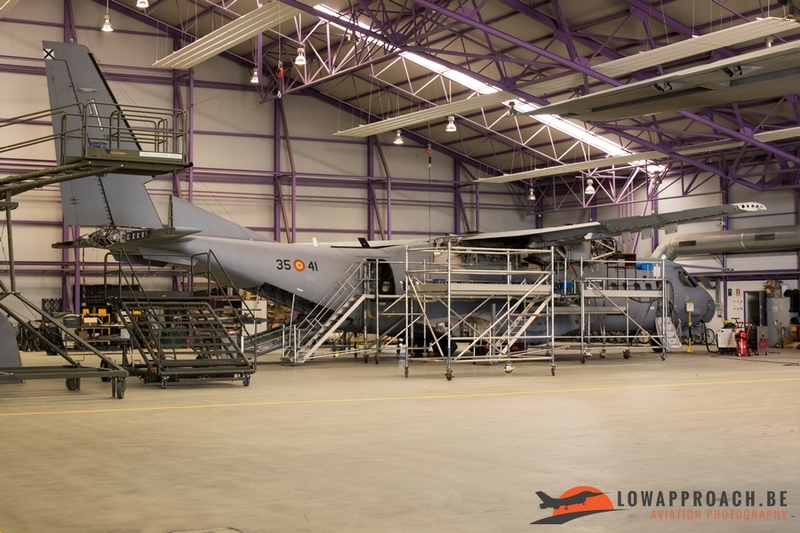 The Aviocar could be used in a variety of military roles, including passenger transport, ambulance aircraft and paratroop carrier. 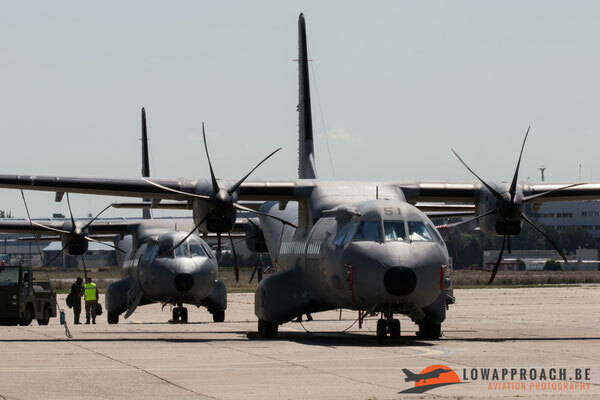 Between 1974 and 1984 80 Aviocars are delivered to the Ejercito del Aire. 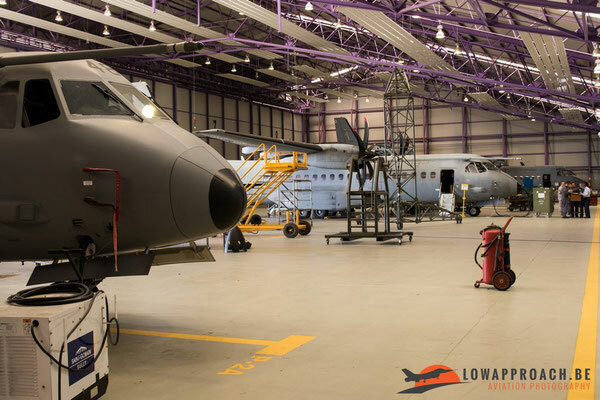 After a little walk we arrived at the hangars of ALA 35. 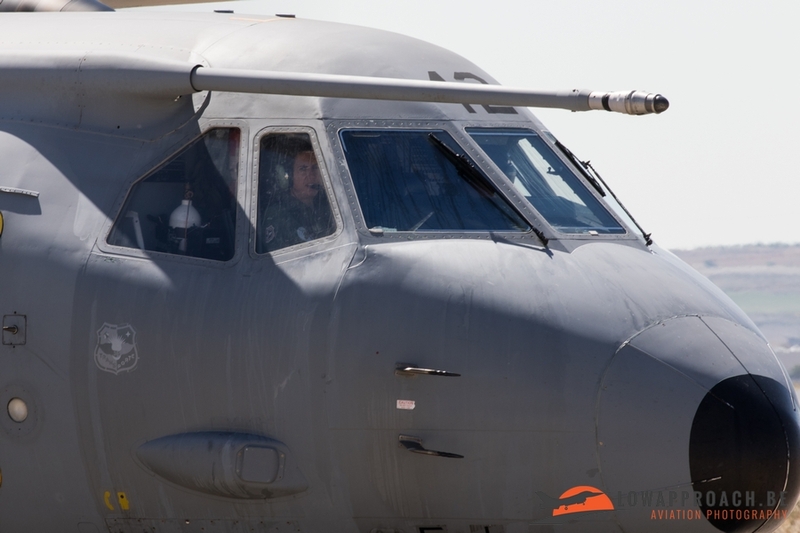 ALA 35 operates the CASA C-295M. 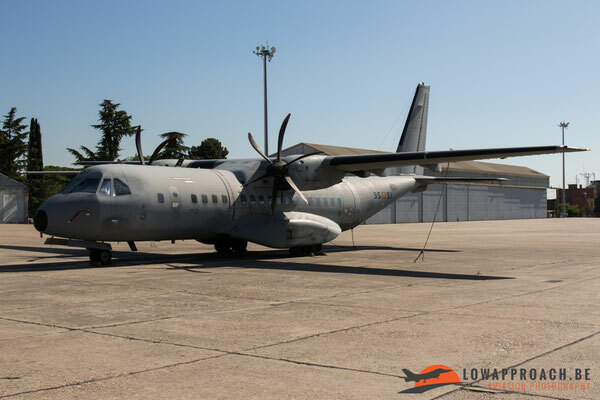 The CASA C-295M is a twin-turboprop military transport aircraft and have a capacity for 71 troops, 48 paratroops, 27 stretchers, five 2.24 m × 2.74 m pallets or three light vehicles. 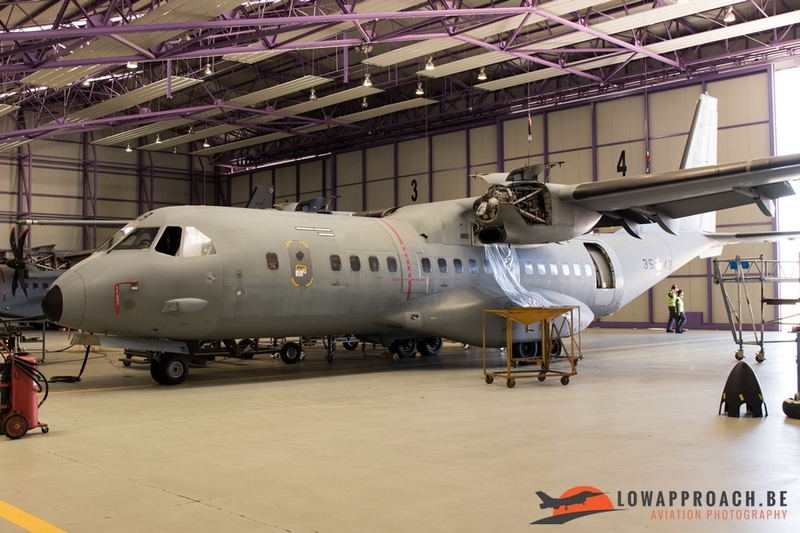 ALA 35 operates 13 of these C-295. 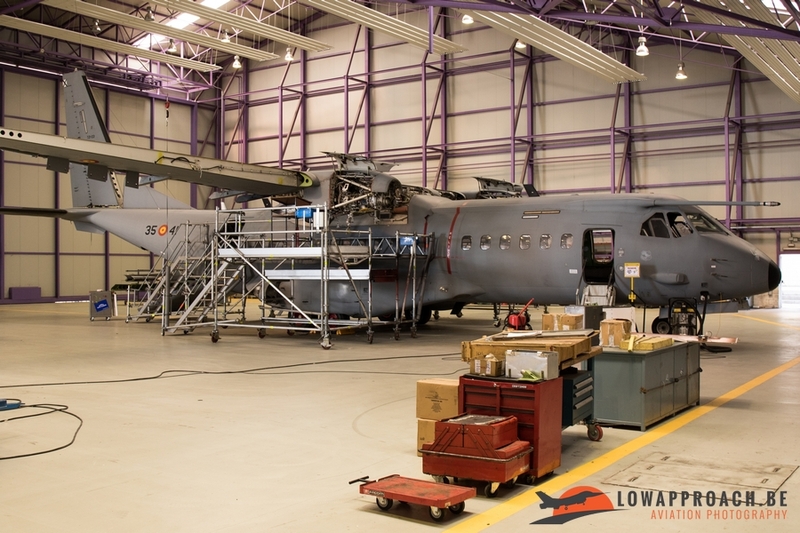 In the hangar we noted three airplanes undergoing different levels of maintenance as you can see on the pictures below. On the apron we saw again four of the same C-295M, during our visit we saw only one landing and another one taking off. Not that much flying activity was going on during our stay in Getafe. 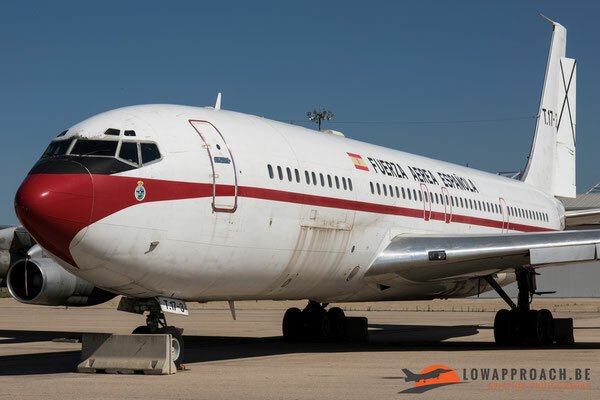 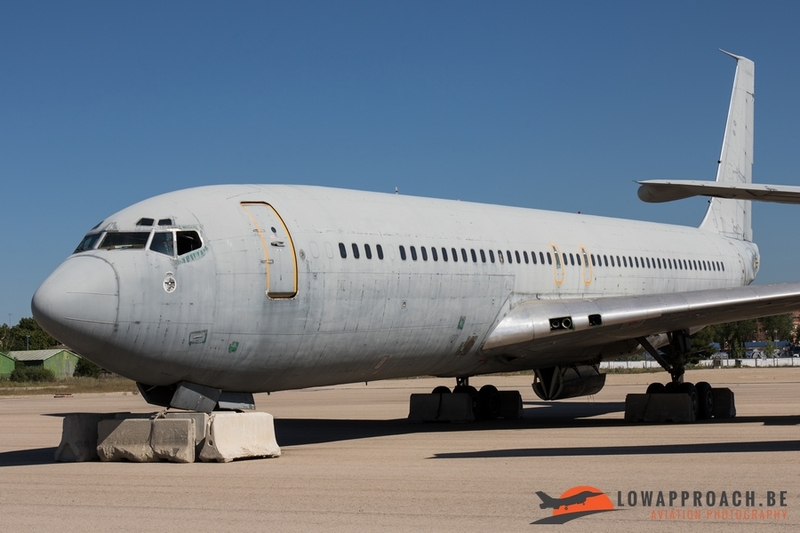 A little bit further we had the opportunity to photograph three Boeing 707s that served in the Spanish Air Force. 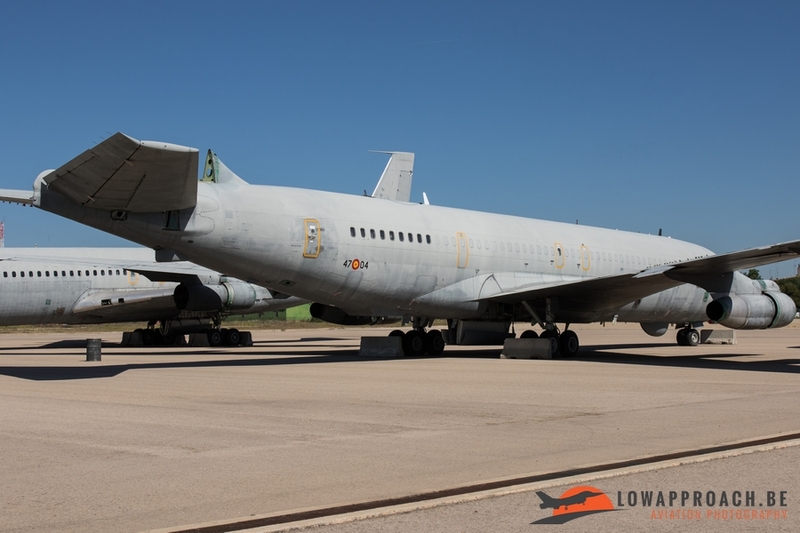 The first was the TK.17-1/47-01 Boeing 707-331B, in better days mainly used for Air-to-Air Refueling. At this time she is not looking very well and I guess she’s going to be scrapped in the near future. 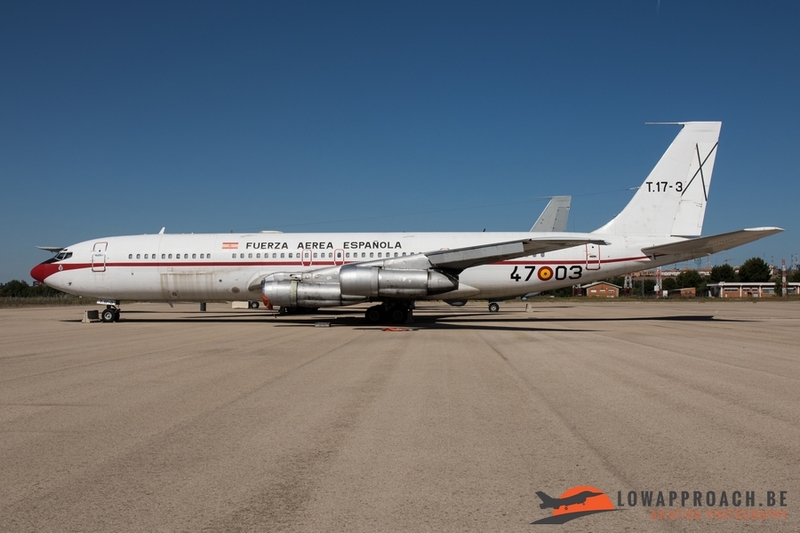 The second was the M.17-4/47-04 Boeing 707-351C, in her operational life operated by 408 Escuadron of the Spanish Air Force at Torrejon Air Base. 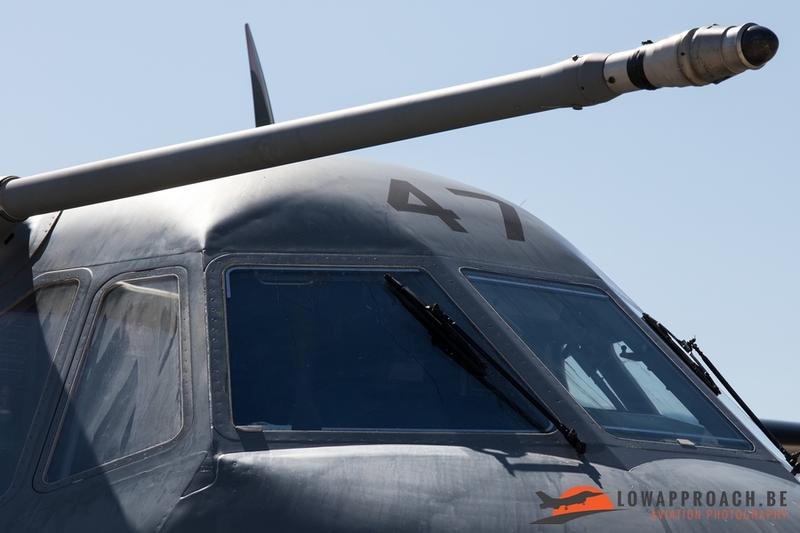 The aircraft was equipped with the Elta EL/L-8300 SIGINT system and the Tamam Stabilized Long Range Observation System, this is a very high resolution TV camera and video recording system with a range from over 100km. Also this bird is not in very good condition anymore and will probably undergo the same faith as the first 707 we saw. 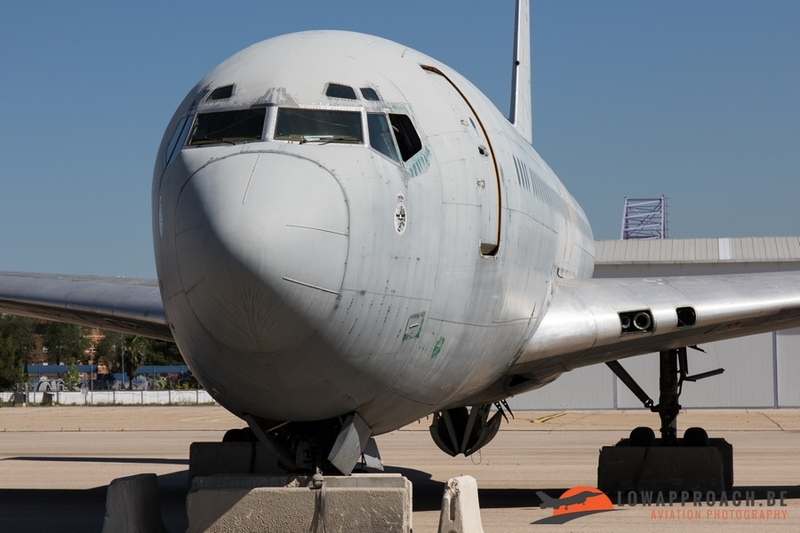 The last in this line up was the T.17-3/47-03 Boeing 707-368C, this aircraft started its career in 1977, flying for Saudia. 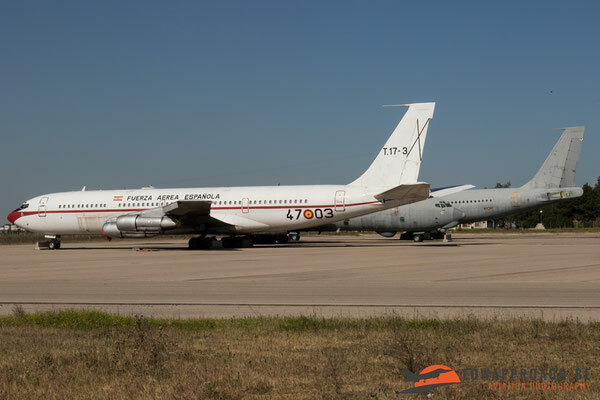 In May 1990, this aircraft joined the Spanish Air Force by 471 Escuadron at Torrejon AB. 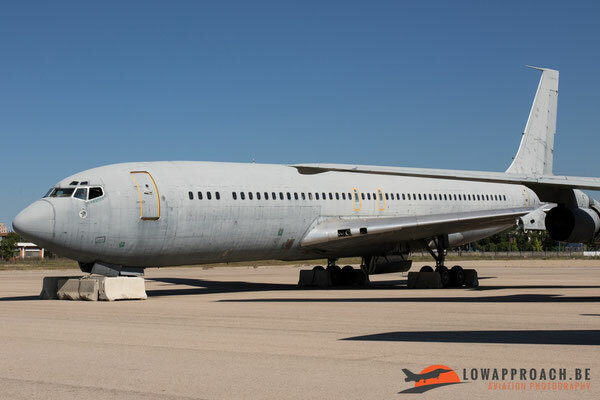 Her last flight was on September 27th, 2016. In the near future she will move to the Spanish Air Force Museum in Cuatro-Vientos. 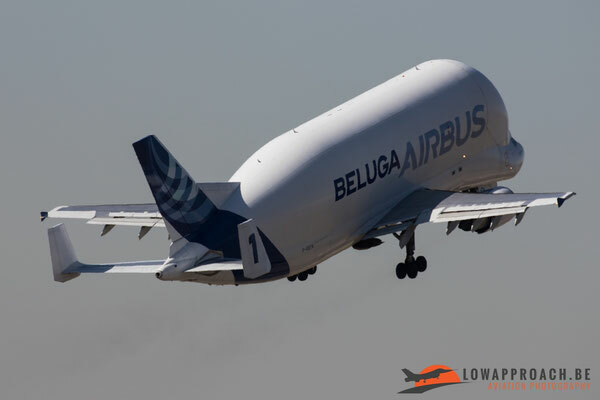 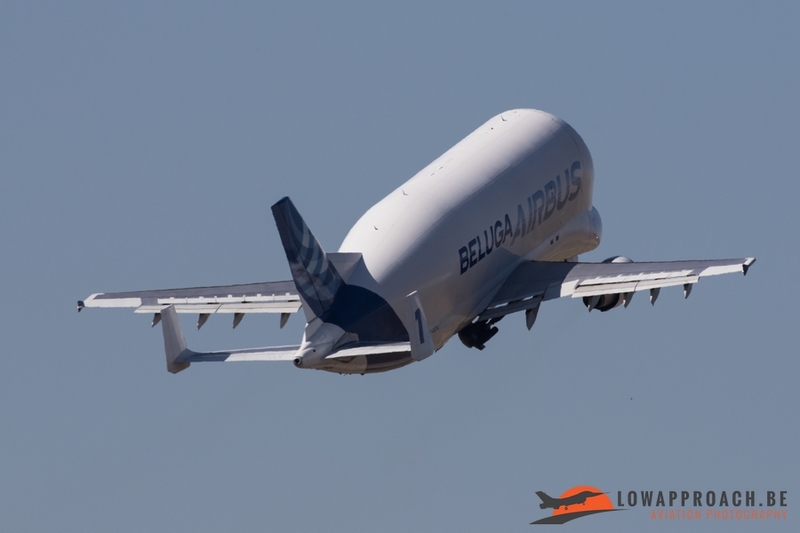 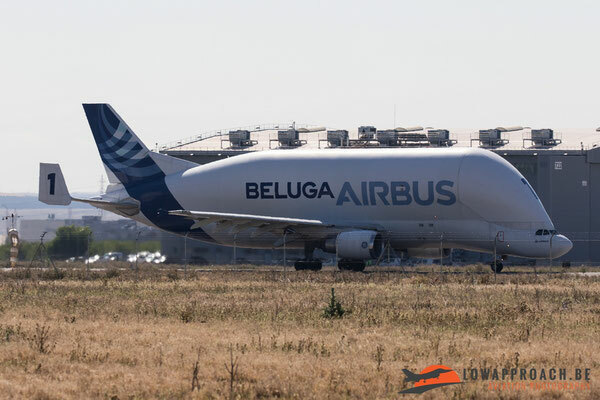 Also seen during our stay was the departure of the Airbus A300-608ST Beluga who had delivered some equipment to the Airbus factory, a Beech C90 King Air from the Ejercito del Aire and a Cessna Ce550 Citation II from the Armada, the Spanish Navy. 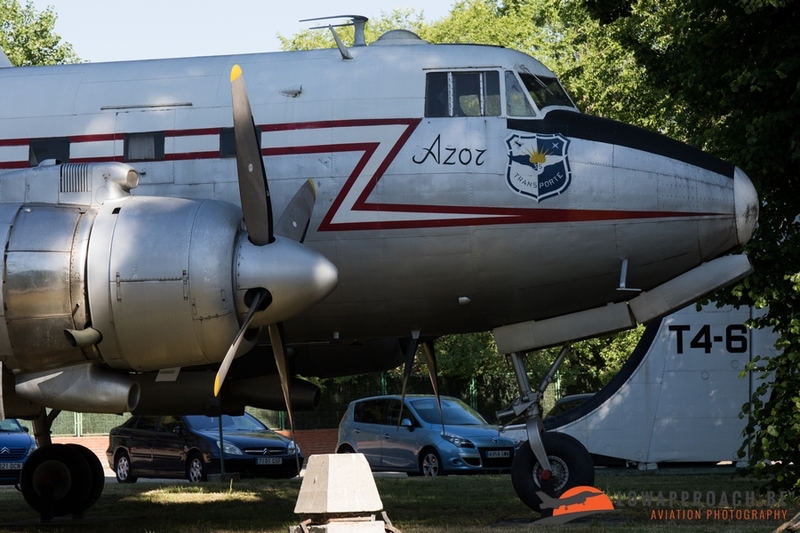 After a stay of two hours it was time to say goodbye to the guides and give them a little present, nothing better than some good Belgian beer. 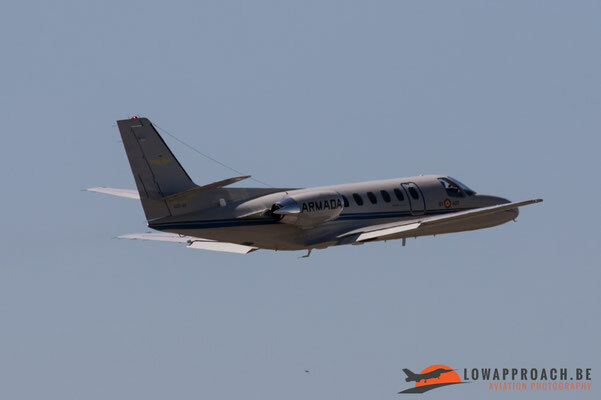 Low Approach Aviation Photography wants to thank the Public Relations Department from Getafe AB and ALA 35 for arranging this nice visit and we hope to see them again in a couple of years.